Welcome to the Sacred Earth Into Your Heart Weekend Retreat - New Zealand. 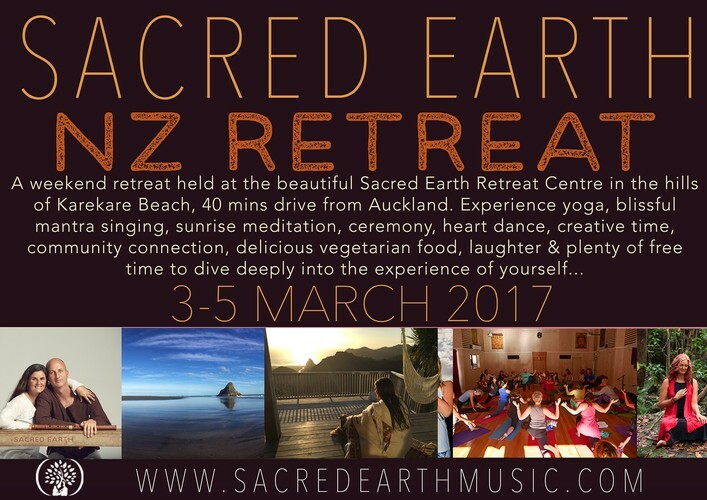 The retreat will be held at the beautiful Sacred Earth Retreat Centre at Karekare Beach, 40 mins drive from Auckland. Join Prem & Jethro for a weekend in which you will be supported to dive deeply into yourself and explore the deeper aspects behind the music of Sacred Earth.